Due to high power agricultural requirements and constant power shutdowns due to the remote location Solar Water Pumps were installed as an alternative. 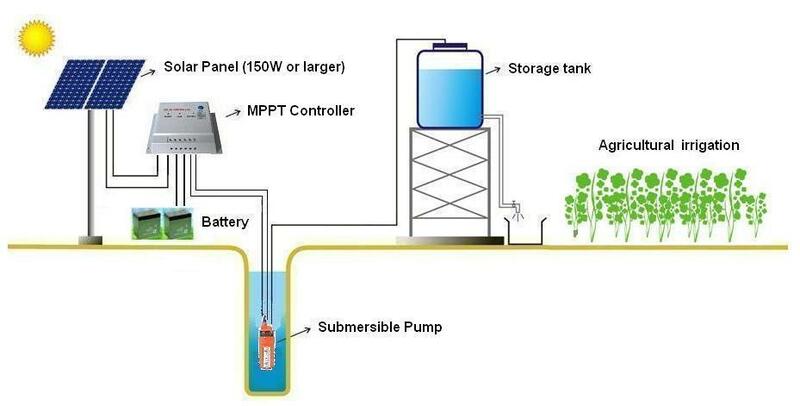 Solar Water Pumps are not only a sustainable option but also operating costs are minimum. The pump is situated where clear sunlight is received on most of the days around the year. Solar Panel:240 Wp x 40 Nos, Topsun Energy Ltd.
Site analysis on the Sunlight availability was done.